Oban Cinema now well and truly open. For those of you lucky enough to be cruising on the West coast of Scotland, Oban is always a good place to spend a couple of days, with two Marinas, lots of visitors moorings, good shelter in bad weather, restaurants and pubs. Now the cinema is open again after a couple of years. 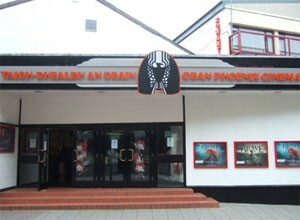 Oban Phoenix is a community owned and run arts venue open 7 days a week with a whole host of films and events to keep you entertained. Fully refurbished, it is just a short walk from the North Pier up George Street and is showing top films every day.